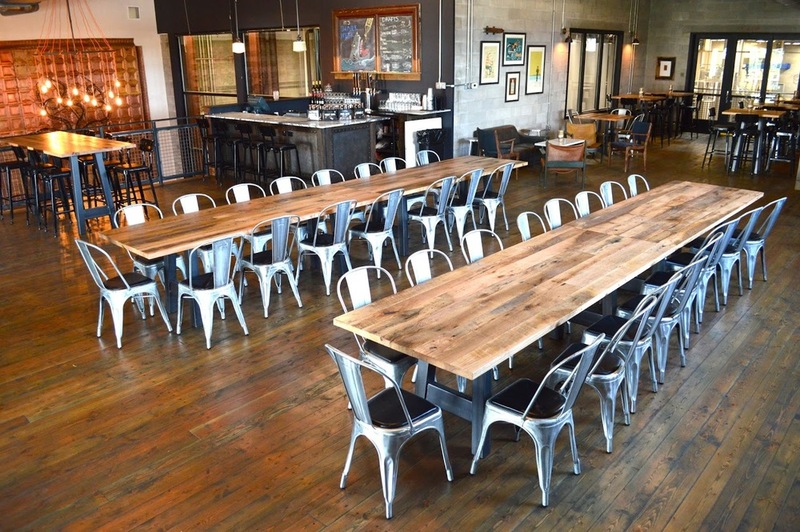 EVENT SPACE — Coppertail Brewing Co. The Loft Event Space at Coppertail Brewing, Co.
Unparalleled Brewery Views - Distinctive Atmosphere - Unique Tour Experience - Great for groups from 40 to 100 people - 2,230 square feet of space (includes looking deck and patio) - Private restrooms, Elevator Access - Modern industrial atmosphere - Exposed duct work, metal beams and railings - Dry-finished wood flooring for a weathered appearance. We do not reserve tables or space in areas that are open to the general public. We do not host weddings or wedding receptions. Our event space is wonderful for corporate events/company outings/bachelor/bachelorette/engagement parties and informal rehearsal dinners. We do not accommodate DJ's/bands/live music for private event rentals. We do not accept event requests for dates more than 6 months in advance. You may use the form to inquire about our current rental information as you begin your venue search, however, this information is subject to change and we will not confirm availability until we are no more than 6 months out from the event date. Thank you for considering Coppertail Brewing Co for your event! For rental availability, please fill out the form in the link below. An Event Coordinator will contact you within 2 business days regarding your event. Tuesday and Wednesday walk-in appointments to see the space available.